The deadly illness can cause tissue damage, organ failure and death. UNDER ONE IN three Irish people have an accurate understanding of what sepsis is, a new study has found. The new research carried out by Behaviour and Attitudes for RCSI and the Rory Staunton Foundation for sepsis prevention found that in comparison, 55% of people in the US understand what sepsis is. 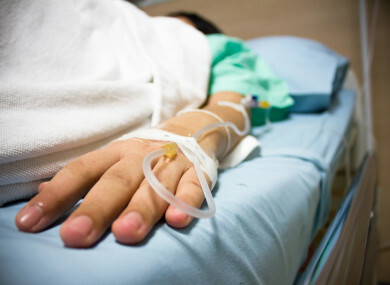 Sepsis, otherwise known as blood poisoning, is a silent killer because it is unpredictable, rapid and can go undiagnosed due to its non-specific signs and symptoms, according to the RCSI. Sepsis happens when a person’s body has an overwhelming and life-threatening response to an infection, such as pneumonia, flu or a urinary tract infection. It has been described as an “overactive and toxic response to an infection”, which can lead to tissue damage, organ failure and in some cases, death. Sepsis is a bigger killer than heart attack, lung cancer or breast cancer. There were almost 15,000 diagnosed cases of sepsis in Ireland in 2016 resulting in 3,000 deaths, and 60% of all deaths in hospital are related to a sepsis infection. Professor Steve Kerrigan, Associate Professor in Pharmacology at RCSI and inventor of InnovoSep, a potential new breakthrough therapy in the fight against sepsis, said that awareness is what will really save lives. “Every delay of one hour in starting treatment increases the risk of death by 8%. Sepsis can kill in 12 hours and that is why it is so critical that everyone in the community is empowered with the information to ask ‘could it be sepsis?’. These four words could save your life”. Kerrigan spoke at an RCSI MyHealth public lecture last week which aimed to educate people about the signs and symptoms of sepsis. He explained that the symptoms of sepsis mimic those of the flu – high temperature, rapid heart rate, rapid breathing, pain, pale or mottled skin, and feeling generally very sick. The main difference between sepsis symptoms and flu is that sepsis will come on very quickly whereas flu comes on over days. A group led by Kerrigan has discovered a potential breakthrough drug, InnovoSep, which could prevent sepsis from occurring in at-risk people or prevent it progressing to a life threatening situation. Kerrigan said that “this treatment has significant potential but it’s also important for people to be aware that there are simple things we can do to reduce the risk of sepsis occurring. Email “Just 28% of Irish people actually know what sepsis is - do you? ”. Feedback on “Just 28% of Irish people actually know what sepsis is - do you? ”.